One major challenge of university relationships is money, especially for male students. You want to impress the girl you are dating without spending a lot of money. You may think that looking for love at uni requires taking a girl to fancy dinners but there are other options that require less cash and are much more fun. Here are some budget friendly date ideas that are sure to impress. When looking for love at uni you need to think a little outside the box. This is a cute and casual date idea that any woman will love. Take her to an ice cream parlour, order a big sundae and have a good time. This date is inexpensive, quirky and casual. Why not try to be fit students while building a student romance? A run/hike is romantic and absolutely free. Nature has this special way of bringing people together. There is also the opportunity to have a good conversation without interruption. Taking your date thrift shopping is going to give you points for creativity. Not only is it different but there are great finds at thrift shops. Shop are and even buy her something nice. During the shopping trip you also have the chance to get see what kinds of gifts she likes (just in case the relationship progresses further). Do you and your date love music? Then this is the perfect date idea! There is always news of free music events going around campus so get the details and set up a date. The only cost involved is a quick meal and maybe drinks. When you have your sight set on a student romance with a very special person, watching the sunset is a sure way to open someone’s heart. 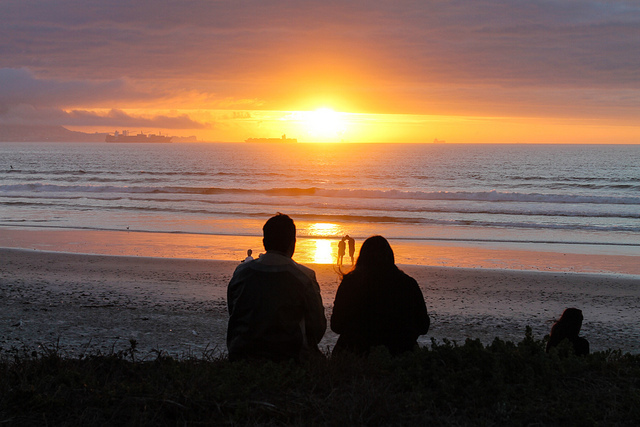 Enjoying such a beautiful sight together creates an undeniably intimate setting. She will remember the date forever. With these ideas, dating at uni will be easier and much more affordable. Best of all, these dates are going to make for a phenomenal day or evening. To find love at uni you need the right setting and these dates do just that.